This past weekend was a busy one! 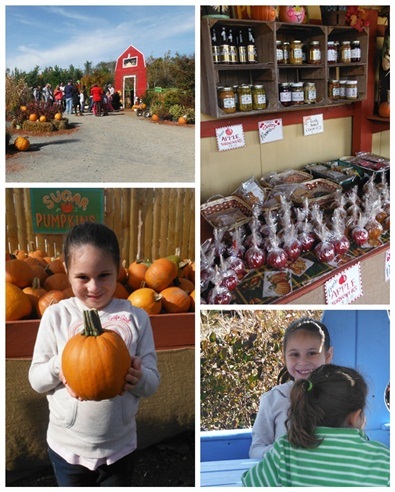 First, we went pumpkin picking at a local pumpkin patch. 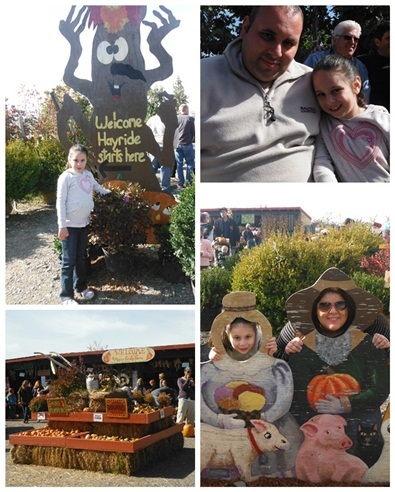 This wasn't Arianna's first time picking pumpkins, but it was her first time going to a full-on pumpkin patch farm like this, and she definitely enjoyed it. 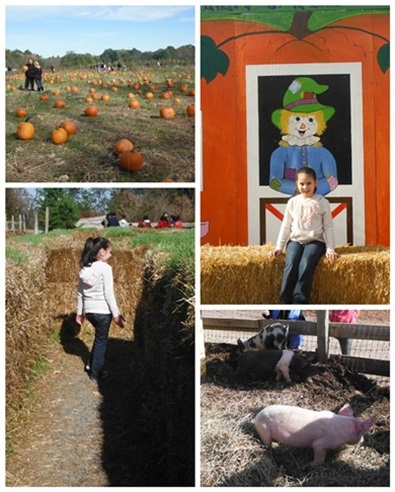 There were so many things to do! 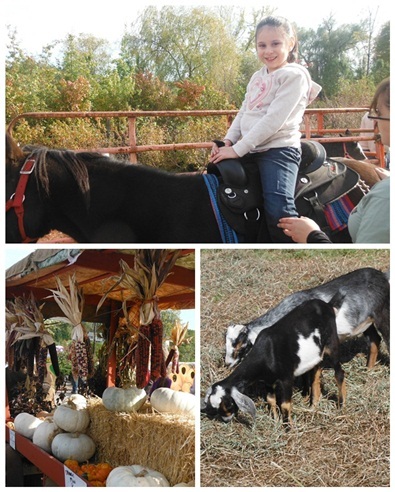 Hayrides, hay mazes, pony rides, petting zoo - you name it! And it costs next to nothing so you definitely get your money's worth. We will definitely be going back next year, for sure! 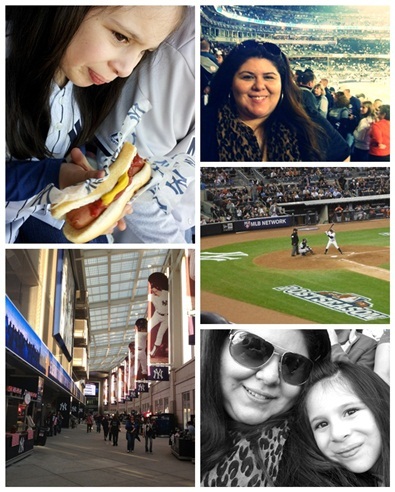 Then on Sunday, we headed over to the Bronx to watch the Yankees lose play in the American League Championship Series. 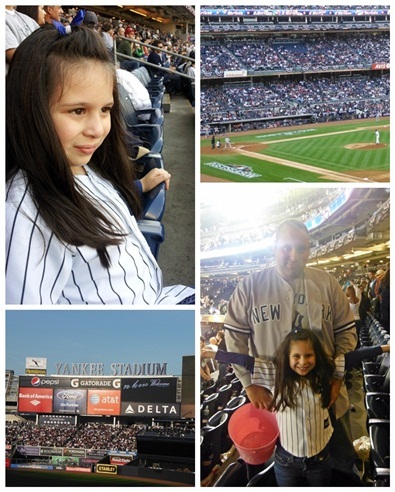 It was great to finally take Arianna to see the new Yankee Stadium for such an important game because she's been dying to go. She enjoys watching baseball with Jason and it was really amusing to see how rowdy and into the game she can get! At times, I think she was louder then the drunken frat guys in-front of us - which at Yankee Stadium got us quite of few smiles and fans, as you can imagine! By the time we got home we were all exhausted. I was a little concerned about the time since she had school the next day, but hearing her talk about the game 2 days later makes me realize that the experience was worth much more than a few more hours of sleep. Looks like a fun weekend! That pumpkin patch looks awesome.